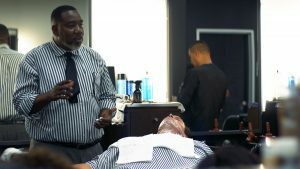 During their education, Academy of Hair Design’s students are asked to strech and grow. We want our budding professionals to develop and surpass their self-imposed creative and academic limits. This challenging education results in alumni who are committed to being top-tier professionals. Our alumni go on to become much more than great cosmetologists, barbers, estheticians, and manicurists; they are business owners, salon leaders, and creative mentors. It is important to us that we provide an educational experience beyond learning a single trade. Without a doubt, we empower our students to be great beauty care providers, but technique alone is not enough. We equip future professionals with the business knowledge and leadership training needed to ensure that they are valuable contributors to any professional workspace. To do this, we offer a unique approach to education called Business Realities. In our Business Realities program, students get to learn best practices and pitfalls to avoid from experts in their field. This curriculum includes everything from salon services, customer care, and team leadership, to business management, and financial recordkeeping. Do you know how many guests you need to see each week to pay your mortgage? Do you know how many new guests you need to find if you want that new car or your child needs braces? Do you know what your time is worth? Our students do. Before graduation, each student is expected to know how to grow their income and control their financial futures. We can confidently say that our curriculum reflects our dedication to creating well-rounded future industry leaders. 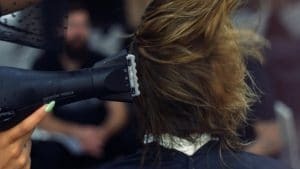 Our training goes beyond understanding how to get that perfect fade, how to lighten that beautiful balayage, or even how to track re-books and product sales. In addition to training competent future leaders in the beauty industry, we recognize the importance of networking. Just like every other professional industry, building a trusted group of great minds propels our student’s success. 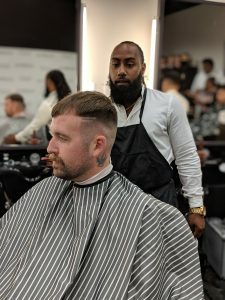 Every year we host events with the goal of connecting current students with alumni and area salon owners. We also invite area professionals to our school to conduct specialized courses and training. This allows our students to learn current trends and best practices from active professionals. And of course, it doesn’t hurt that this also puts our students in contact with hiring businesses before they graduate. Networking happens in and out of our salon. Our goal is to facilitate an environment that encourages opportunity and communication between people of all skill and experience levels. While face-to-face networking is important, we also recognize the value of digital connections. Through the creation of our social media honors certificate, we help students display their professional portfolios on free platforms such as Facebook and Instagram. More importantly, we show students the differences between a personal page (insert pictures of food, cats, and that awesome double rainbow you saw last week) and a professional page (insert quality pictures of perfect services in a clutter-free works space.) It is always a win when students tell us that they were “discovered” on social media and grew their client-base before graduation. When it comes to our visual and a social industry, social media is serious business. This holistic approach to professional development—educational, business, and digital—means that we get to equip students with the tools they need to provide an excellent salon experience. Training professionals and industry leaders is only one way we inspire excellence among our students. Excellence is the rare combination of skill, knowledge, and opportunity. We want this rare trait to by our student’s norm. Our students come to us full of goals and moxie and we know that we owe it to them to provide an environment that fosters these three traits at all times. It is a big task, but nothing short of excellence will do. Skill, knowledge, and opportunity combine in powerful ways, but success requires one additional element. True, transformational success requires a student who will seize these moments and make the most of our carefully crafted educational environment. More important than what we do for our students, is what our students do for themselves. They must hold themselves to the highest standard. Time and time again they make us proud to take part in their journey. 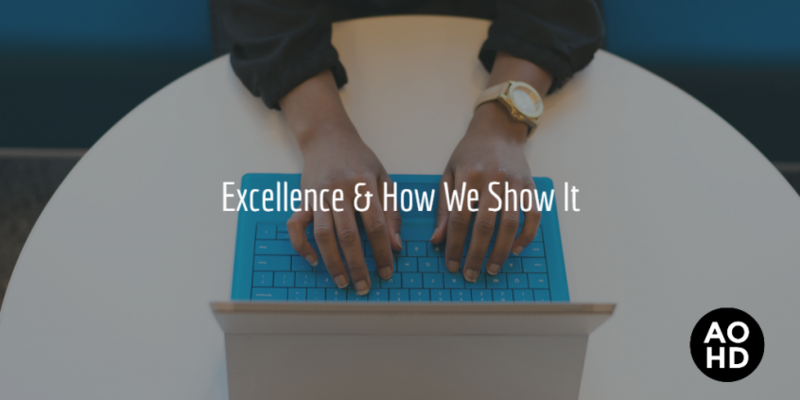 At our core, they are the excellence we strive to see.